As the summer days draw closer, it’s important to start thinking about your carpet. That’s because you’ll see far more people arriving in and out of your property as the climate gets hotter. Your kids will probably be inviting their classmates and friends around for water gun matches in the garden, next door neighbours might be coming asking to use your watering can and you never know; you can also have a few of your friends over for a barbeque. The house becomes a lot more active when the temperature gets warm and with this comes carpet stains. Shortly there will be mud and grass trampled by your children, the odd drop of wine spilled by your visiting friend and grease as well as gravy marks smudged on the rug from the barbeque food. That is why you need to start thinking about calling a professional Carpet Cleaning company. Your carpets are going to be receiving such a huge increase in visitors that by the end of the summer time, they are likely to look battered and worn out. For that reason it is crucial for you to get them looking back to the way they were before, as quickly as possible. The only way to do that is by using the assistance of expert cleaning agencies. The employees of these businesses will use specialised equipment and will have expert knowledge which will help them to achieve amazing outcomes. So before you get shocked by the state of your rugs, check out the cleaning services offered to assist you to handle the job. To start with, all of these cleaning professionals – had training before being sent to the actual job. Many companies supply specialized training so the first thing you have to find out about your cleaning provider is to check if they supply these kind of training. It’s also sensible to check the insurance policy and bonds of the business. Let’s face the facts, we cannot just replace a carpet if our hired cleaner accidentally damages it. Carpets belong to those “typically expensive” house accessories, which explains why we must protect it as long as we can. A corporation with insurances is a big bonus. Cleaning schedules play an important role at this point. For the reason that many people want to get their carpets cleaned more frequently during the summer months, chances are, cleaning companies have many bookings as well. If it is possible, book for an early cleaning schedule. There’s no need to hurry but you should ensure your rug will get sufficient cleaning. You might also want to know what the cleaning provider’s steps will be if the cleaning team you chose won’t be able to come. Some companies are quick in replacing their assigned cleaners; they don’t want to let any client down and this is truly the way it should be. If you’re scared of the fee, whether you’re living within a strict budget or perhaps you’re cutting down on costs, it is a smart idea to save small amounts throughout the year. So you’re equipped when summer comes. 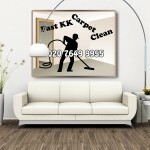 If you wish to know more regarding our Carpet Cleaning, remember to speak to us on 020 3912 1195. This article offers some great tips of how to clean my living room carpet. I am working mother with two kids and here I found some tips which will help to shorten the cleaning time. And of course it is an absolute must to clean the carpet during the summer because the winter is the season when you want to stay at home and relax in front of the fireplace. Regards!